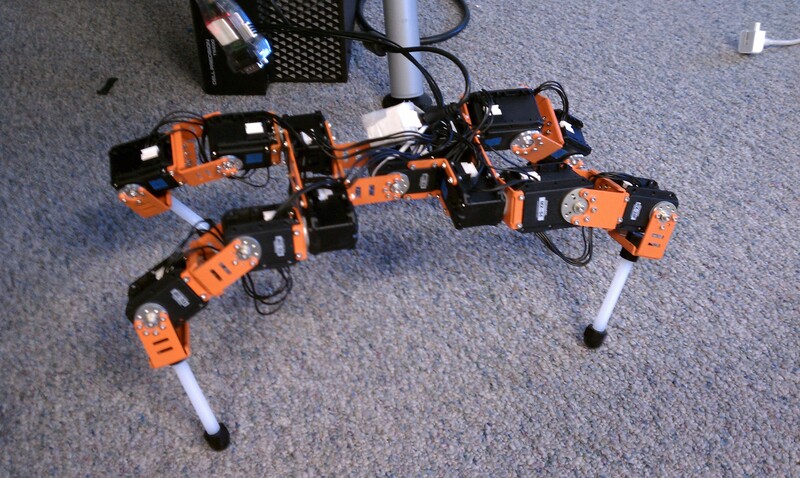 Lynx is an experimental quadruped robot based around Dynamixel servo motors. It features sheet metal brackets connecting front and back legs to shoulder and hip joints. The shoulder and hip links are joined by a single spinal vertebra. 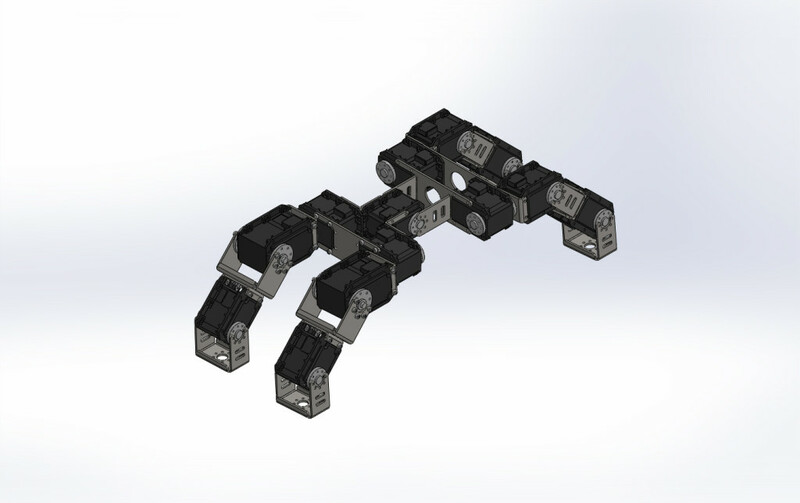 Lynx is designed as a low to medium cost introduction platform for robotic research. It is currently being used for real time planning and control. Layout can be seen here (dimensions in inches). Full BOM and drawing files coming shortly.